Contact Information *Asterisk indicates a required field. Yes, I would like to receive e-mail updates from Homes For Our Troops. If you have any additional questions about events or volunteering at events, please email our Community Outreach Coordinators at COC@hfotusa.org. Question - Not Required - Want to receive updates for states other than your home state? Check them off below. Question - Not Required - How did you first hear about Homes For Our Troops? Once an event is scheduled for a Veteran, a link to RSVP will appear on the Veteran's page or on the HFOT Calendar. If you have signed up for Project Updates above, you will receive the details either by email or by printed invitation. 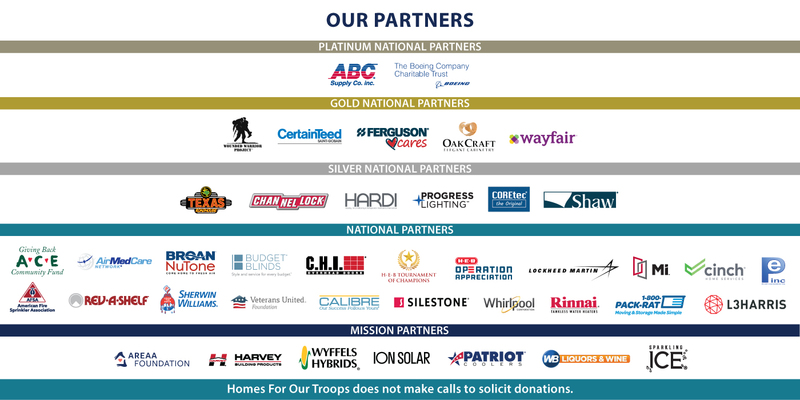 Have you previously donated to or fundraised for Homes For Our Troops? Log in below with your username and password.